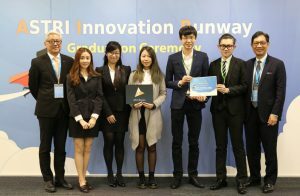 [Hong Kong, 29 November 2016] Eight teams of young, creative entrepreneurs received acknowledgement as ‘successful graduates’ at the graduation ceremony of ASTRI Innovation Runway (AIR) held on Monday, 28 November 2016. 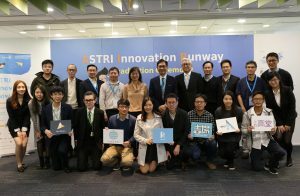 Organised by Hong Kong Applied Science and Technology Research Institute (ASTRI) and sponsored by Innovation and Technology Commission of the HKSAR Government and Microsoft Hong Kong, the AIR platform offers one-stop comprehensive pre-incubation support to young technology entrepreneurs with innovative ideas. 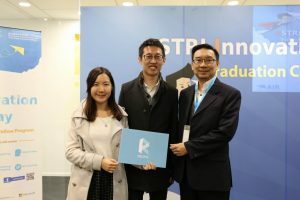 The graduating entrepreneurs were joined at the ceremony by Mr Wong Ming-yam, BBS, JP – Chairperson of ASTRI Board of Directors, Dr Franklin Tong Fuk-kay – ASTRI CEO, Ms Joelle Woo – Director of Business Development and Developer Experience at Microsoft, and Mr Peter Mok – Head of Incubation Programmes at Hong Kong Science and Technology Park. Since being launched in August 2015, the AIR programme received a total of 206 applications from aspiring start-up entrepreneurs. Multiple rounds of reviews, screening and assessments led to six and two projects being finally chosen to receive comprehensive pre-incubation support from ASTRI including skills training, coaching and mentoring, access to ASTRI labs and other resources, exposure to industry stakeholders and partners, visits to eminent business premises, and introduction to the commercial space. The programme also included training, workshops and other technical support from Microsoft Hong Kong. 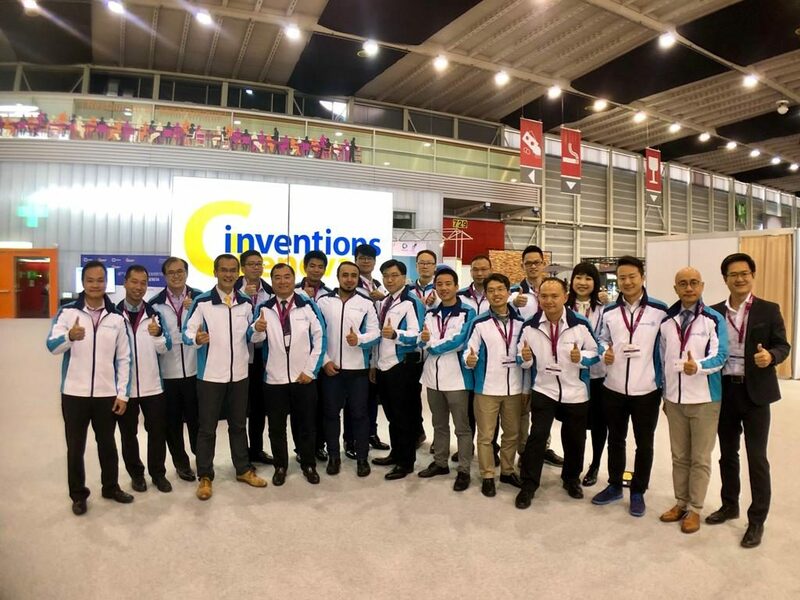 The eight teams – comprising a total of 20 members – who graduated at the ceremony presented demonstrations of their business model as well as products and/or services. 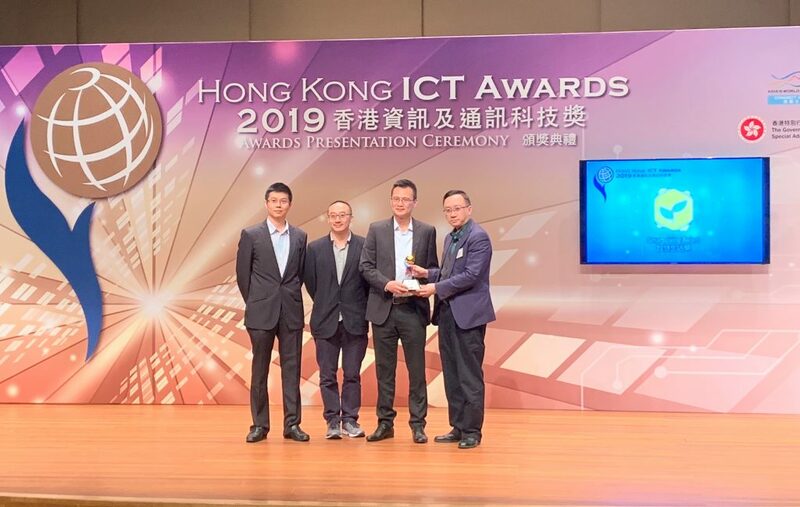 Over the period of their pre-incubation, these fellows of this programme received a monthly fellowship award of HKD 9,000 as start-up support. They are also allowed to utilise ASTRI’s technology solutions and patents for commercialisation upon graduation. One behalf of the participants, Michelle Lui – Air Fellow from team Recipio – singled out the fact that “this programme transformed us from struggling undergraduates to confident start-up entrepreneurs who can now dare to dream.” She acknowledged the role played by the mentorship, practical field trips and access to funds in their journey. 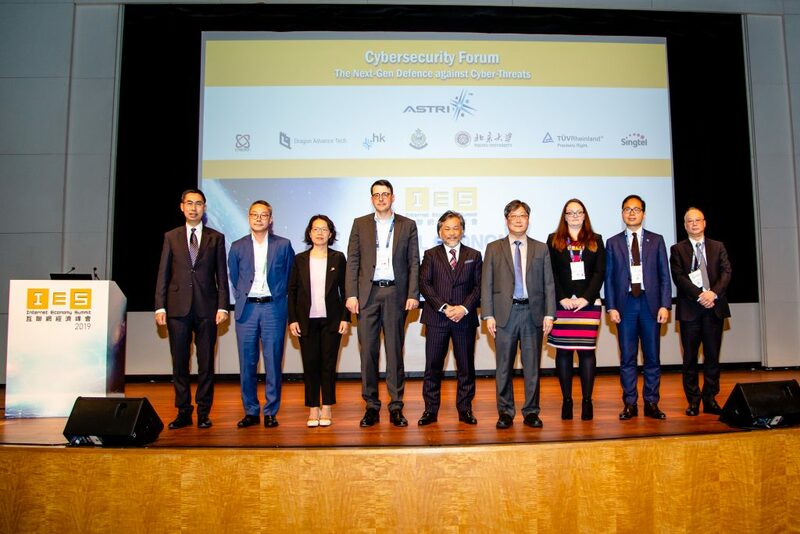 The programme was supported by an advisory panel which included: Dr Meikei Ieong, Chief Technology Officer of ASTRI, Dr Justin Chuang, Vice President, Next Generation Network of ASTRI, Dr Duncan Wong, Vice President, Financial Technologies of ASTRI, Dr Andrew Chan, Director, Executive MBA Program, The Chinese University of Hong Kong, and Dr Jack Lau, Former Chief Marketing Officer of ASTRI. In addition, the entrepreneurs’ teams were coached and mentored by domain experts. Founded in 1975, Microsoft (Nasdaq “MSFT” @microsoft) is the leading platform and productivity company for the mobile-first, cloud-first world, and its mission is to empower every person and every organisation on the planet to achieve more. 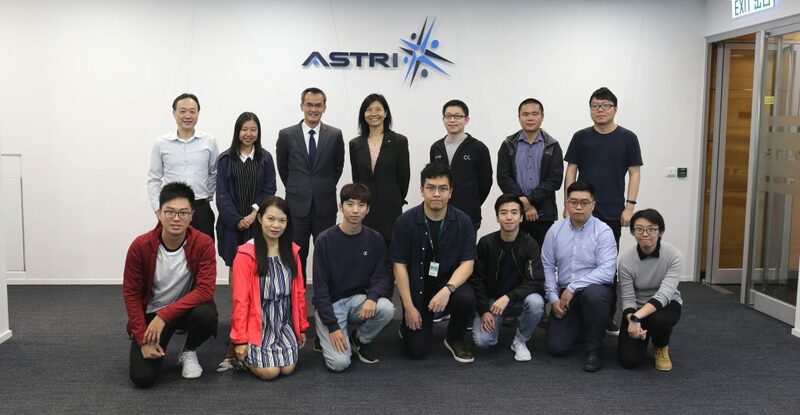 Group photo with Mr Wong Ming-yam (6th from right), BBS, JP, Chairman of Board of Directors of ASTRI, Dr Frank Tong (5th from right), Chief Executive Officer of ASTRI, R&D experts of ASTRI, mentors of AIR programme, and graduates of AIR Programme. Mr Wong Ming-yam (1st from right), BBS, JP, Chairman of Board of Directors of ASTRI and Dr Frank Tong (1st from left), Chief Executive Officer of ASTRI present certificate to acknowledge the ‘successful graduates’ of AIR fellows at the graduation ceremony. Members of RECIPIO present thank you card to Dr. Andrew Wat, one of the programme mentors.